There’s a problem with your connection to Xbox Live. Sign in to your Microsoft account. Forgotten your password? Reset your password. Verify the billing information for your Microsoft account. For example, verify that the billing address for your Microsoft account matches the billing address used by your credit card company. Also, make sure that your Microsoft account payment details, including capitalization, match the information used by your credit card company. Delete the profile from your Xbox 360 console. To do so, go to Delete an Xbox Live profile from an Xbox 360 console. Clear the system cache. See How to clear the cache on Xbox 360. 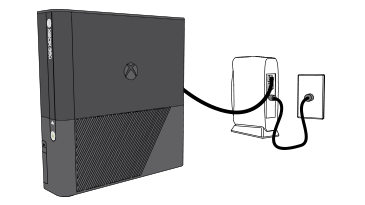 Turn off your Xbox console and your network hardware (such as your modem and router). Turn on your modem and wait for it to come online (about a minute). Turn on the next piece of hardware (for example, your router) and wait another minute. Download your profile. See Download your Xbox Live profile to a different Xbox 360 console or redownload it. After your profile downloads, restart the console, and then try to connect to Xbox Live. If you continue to get the error, check your Xbox Live connection. See Troubleshoot Xbox 360 connection to Xbox Live. ¿Quieres contactar con el Soporte técnico con referencia al problema "Error 80090304 occurs when you try connecting to Xbox Live on Xbox 360" acerca del que estabas leyendo o con referencia a otro problema?